The Noah Fast is Ridley’s new top-level aero model which has evolved from their popular and proven Noah bike which has featured in the pro cycling peloton over the past few seasons. The original Noah incorporated years of experience in developing aerodynamic standards, utilising a productive working relationship between experienced in-house R&D engineers and top sprinters in the pro peloton to create industry-leading breakthroughs. Proven by world-class performances like Robbie McEwen’s Green Jersey win and André Greipel’s victories on the famous Champs-Elysées. The Noah quickly established itself as a synonym to aerodynamic performances. The new Noah Fast required a fresh approach; taking what the engineers had learnt from the original Noah the new Fast was built from scratch with every feature rebuilt. This powerhouse has no rival in cutting through wind thanks to component integrations of the fork, handlebar, seat post clamp and cables. With integration and greater position adjustability built into the Noah Fast every rider is able to find their perfect position accurate to 1mm as a result of Ridley’s whole bike approach, where every part needs to fit together perfectly. With further adaptations to the fork, seat post and handlebar the bike's total weight is about 250 grams lighter than the previous Noah with this rim brake version staying below 7 kg on the scale, without the need of exotic lightweight components - light as a feather for an out and out aero road bike. 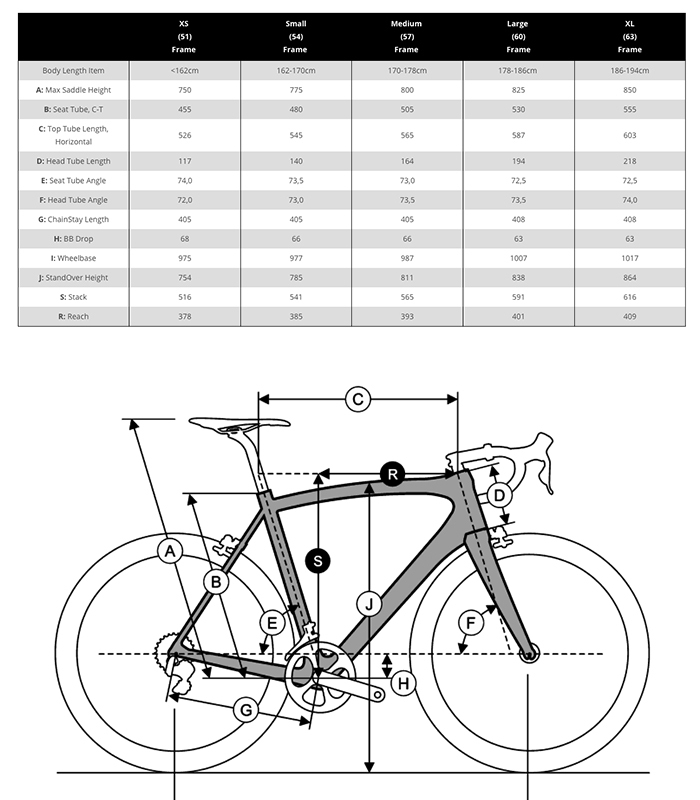 The stiffness of the bottom bracket & head tube is further increased to its predecessor so that all the power you put through the pedals is transferred directly into forward motion. 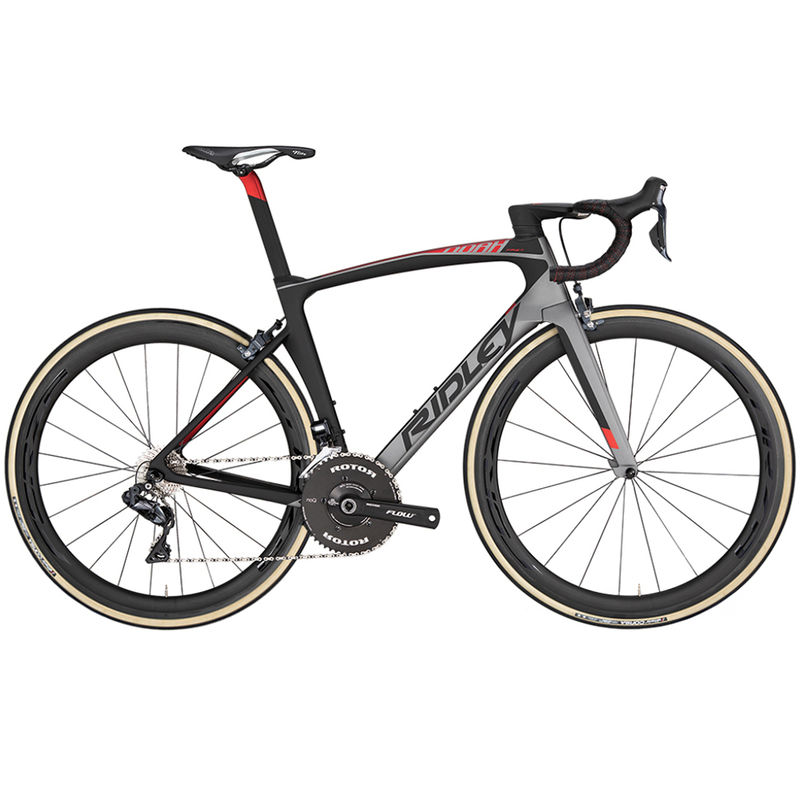 All this speed and aero efficiency is not at the expense of comfort though, the Ridley Noah Fast disc features lowered seat stays create vertical compliance to enhance comfort and encourage all-day riding.